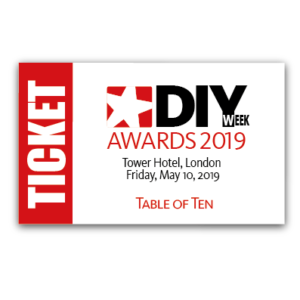 Join us on Friday, May 10 at the Tower Hotel, London for the prestigious DIY Week Awards luncheon. Attending the ceremony gives you the opportunity to network with guests from across the industry. As always, the audience includes many of the industry’s top buyers, retailers, wholesalers and suppliers – a perfect opportunity for you to meet old friends and make new contacts. So, who will you invite?